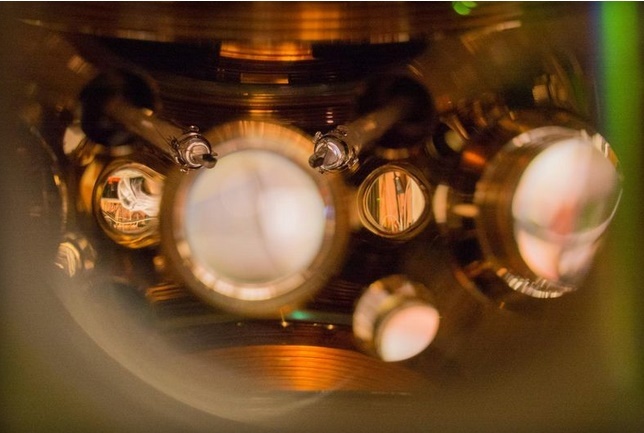 Not more than a year ago global team of researchers including members from the National Institute of Standards and Technology broke a world record by building an ‘optical lattice’ clock, also known as atomic clock, which till now was the most accurate clock in history of mankind. However the same team has enhanced this clock making it almost three times accurate to existing one. The new fined clock also known as strontium atomic clock claims to be so accurate that it loses almost 1 second every 15 billion years. By the way the universe age is almost 13.82 billion years. Strontium atomic clock, whose name came from the thousands of strontium atoms contained within a column of laser light called the optical lattice. The clock works by bathing the atoms in a laser at the precise frequency that causes them to oscillate between two electronic energy levels. The “ticks” are then measured at a rate of 430 trillion per second. Earlier, cesium fountain clock, which determines time based on the vibration of an atom of Cesium 133 kept time with an accuracy of one second over 100 million years. However, Strontium atomic clock measures vibrations in strontium atoms using red laser light rather than measuring Cesium 133, strontium ticks about 430 trillion times per second. Super-precise clock has loads of timekeeping applications. However with such an incredible accuracy, this clock could detect even minor changes in gravity. That could be huge for airplanes, for instance. The new accurate clock can also be used to improve the accuracy of satellite navigation systems, as well as help quantum physics research. And it is claimed that it may someday make over from the cesium fountain clock as the gold standard. This new invention also proves the parts of Einstein’s theories of relativity that suggested clocks tick faster at higher altitudes.